Every nation's days are numbered. 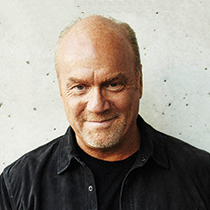 Pastor Greg Laurie shares why it's time for our nation to wake up! I read about an interesting new alarm clock called the Wake n’ Bacon, which makes it possible to wake up to smell of bacon every morning. Before you go to bed, you simply place a piece of frozen bacon inside this special clock. Then, ten minutes before you wake up, the bacon starts cooking so you will awake to that amazing smell. I love the smell of bacon, so I may have to buy one of those clocks. I think it is time for our nation to wake up and smell the bacon, so to speak. As we look at end times events in the Bible, it is alarming not to find the reigning superpower on the face of the earth, the United States of America, in the last days chain of events. We can certainly find the nation of Israel. We can find Iran. And I think a pretty good case can be made for Russia and perhaps even China being found in the prophetic scenario. But we can’t find the United States. Every nation has a life span. Every nation has a beginning, a middle, and an end. The might of ancient Babylon only lasted for 86 years. The powerful Persian Empire did a bit better at 208 years. The glory of Greece was eclipsed after 268 years. Mighty Rome ruled for almost nine centuries. The British Empire endured for some 250 years in her great power. The United States of America is around 235 years old and counting. Every nation’s days are numbered. Proverbs 14:34 says, “Righteousness exalts a nation, but sin is a reproach to any people.” If we turn from righteousness, if we turn from God, we will face the consequences. If we abandon God, if we forget God, there will be consequences to pay.